More prostate cancer patients diagnosed at younger age: Are you at risk? During the past 20 years, the number of men diagnosed with prostate cancer before their 70s and 80s, the typical age for diagnosis of this disease, increased nearly sixfold, according to new research published in the journal Nature Reviews: Urology. The study explores the risk factors associated with these earlier diagnoses. 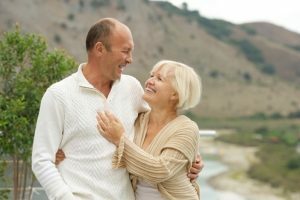 Although prostate cancer can be a slow-growing malignancy, the new research suggests this may only be true among men who are diagnosed in their 70s or older. Prostate cancer among men who are in their 50s or younger may be more aggressive, which underscores the importance of understanding your risk level. According to the study authors, the lifetime risk of a man being diagnosed with prostate cancer is about 16 percent, but the lifetime risk of actually dying from the disease is only 3 percent. When men are diagnosed with prostate cancer in their 70s and 80s, the malignancy is often in its earliest stages, and the patients typically die from unrelated causes. If men develop this disease at a younger age, it is more likely that the tumor is growing quickly. This can be problematic because the timeframe between a recent screening with negative test results and clinical signs of aggressive prostate cancer may be short. To illustrate, the study authors discussed one patient who, at the age of 59, was diagnosed with prostate cancer when the disease was already at stage IV. At that point, the projected survival is less than three years. Ultimately, the researchers estimated that the overall risk of developing prostate cancer increases by two or three times for men who have a family history of the disease. The likelihood grows even more if multiple relatives have had prostate cancer. The study authors also asserted that men with early onset prostate cancer carried more gene variants when compared to men who weren’t diagnosed with the disease until later in life. Currently, the researchers are working with the U.S. Department of Defense to conduct further studies that compare the DNA of normal prostate tissue to that of samples collected from men who were diagnosed with prostate cancer before the age of 61. If you want help understanding your risk for prostate cancer, talk with a health advisor. An advisor can provide referrals to urologists and other specialists with experience assessing prostate cancer risk. These specialists will help you assess your risk based on lifestyle factors, family history and other influential variables. Together, you can develop a personalized plan to protect and monitor your prostate health.